Albrecht Fersch, born in 1970 in Schweinfurt in Unterfranken, studied at the Academy of Art in Munich from 1993 to 1995. Between 2005 and 2006 he completed the “Essential Theater” training program in Berlin. He lives in Berlin and works as an art therapist and independent artist. Along with various grants and scholarships, Albrecht Fersch has also received the “Kunstpreis Östliches Sauerland”. 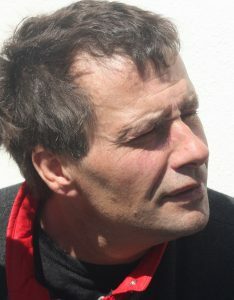 Albrecht Fersch is a performance, kinetic and installation artist from Berlin. He switches back and forth among the different disciplines and also enjoys working with poetry and musical media. Whatever he came up with one day could be discarded by the next morning: beauty comes from daring. Things that currently exist are defined anew, things that are found are treated and used like those that were custom-made. Many of his works are also temporary and exist now only as documentation. His artistic universe is a large archive in the middle of which a spring of whimsical ideas continuously bubbles. Despite the artist’s ever-changing look, recognizable motif patterns remain, such as networks, connections, agglomerations, the separation of identities, chaos and order. His intention is to create and show relationships and associations, bringing them together into an encyclopedic spiderweb, arranged not only alphabetically but also as he pleases. Just in time for Urban Development Day and for the opening of the 2018 Wunsiedel Water Games, water from the heavens gave their own performance, including both light and sound effects in varying intensities. Most visitors were prepared and equipped with umbrellas. The rich program offered enough places to stay dry. 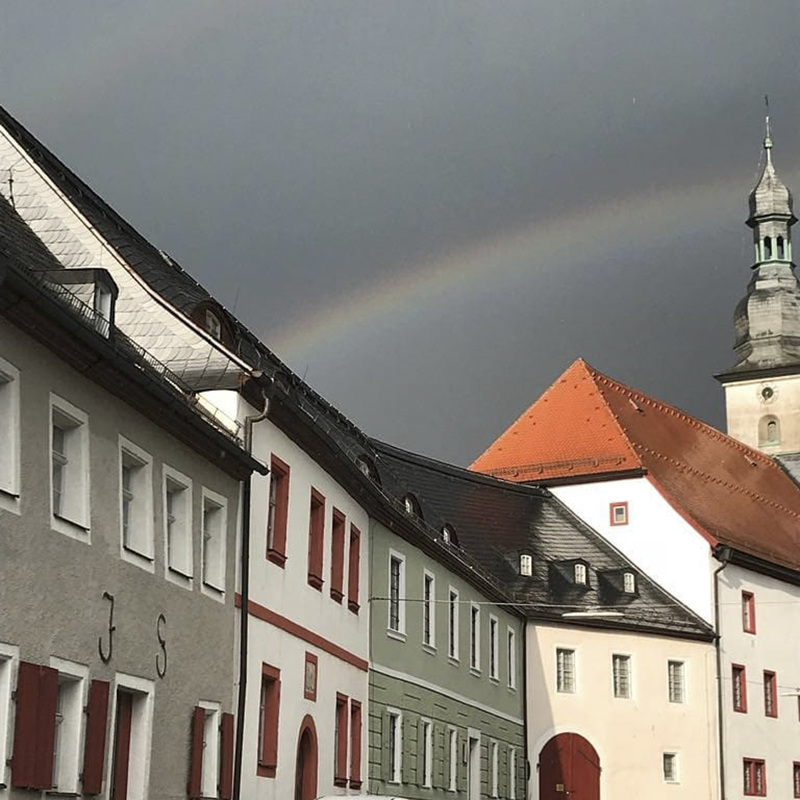 Readings, music, exhibits and sound installations all made it possible to discover places and corners of Wunsiedel that are otherwise overlooked: places which have slipped from the consciousness of Wunsiedel’s residents, but have caught the eyes of visitors. Empty places in the middle of town. Bringing these locations back into consciousness was the ingenious link to Urban Development Day. 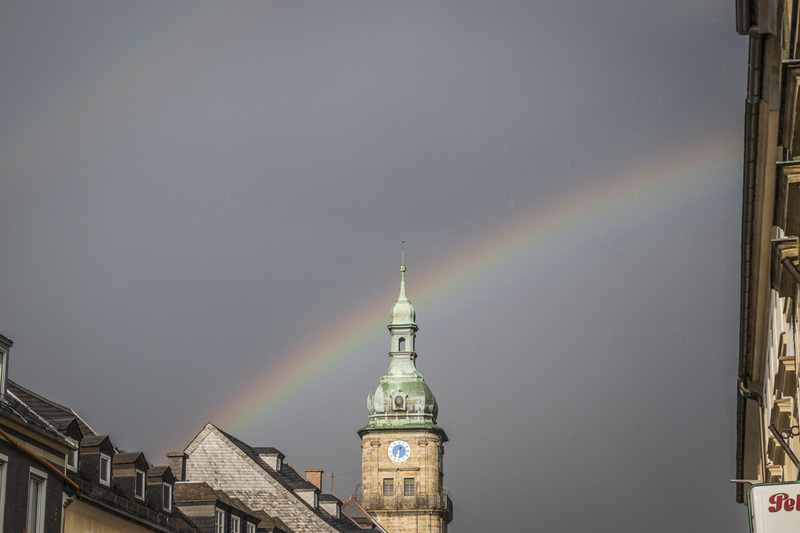 You could hear the excited “Wow!”s from visitors as they climbed staircases and went through old living spaces of individual gems scattered throughout the Old Town, apartments which often still had original furniture and plumbing, such as bathrooms and kitchens. Extensive tours connected these locations like pearls on a string. This all coincided with the Kick-off Event for the 2018 Wunsiedel Water Games. From an international artistic competition under the theme “The Element of Water as Theme and Motif in Art”, 20 artists were selected by a jury who had to go through almost 200 submissions. 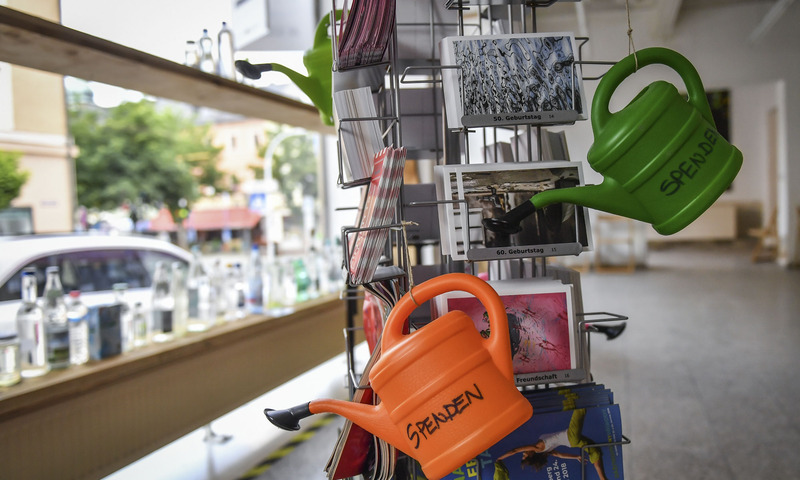 These artists will be able to exhibit their works between June 16 and September 19 in Wunsiedel and turn empty spots, including outdoor loactions scattered around town, into attractive locations for presenting a wide variety of art. We are looking forward to all of it! In the coming weeks up until the opening on June 16, we will present and introduce to you the participating artists. 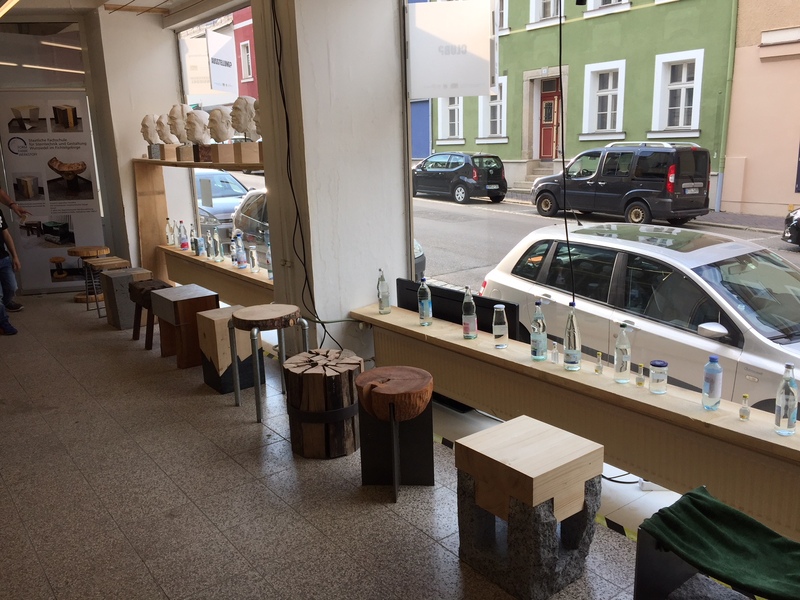 Water from all over the world in the former “Schlecker” store. 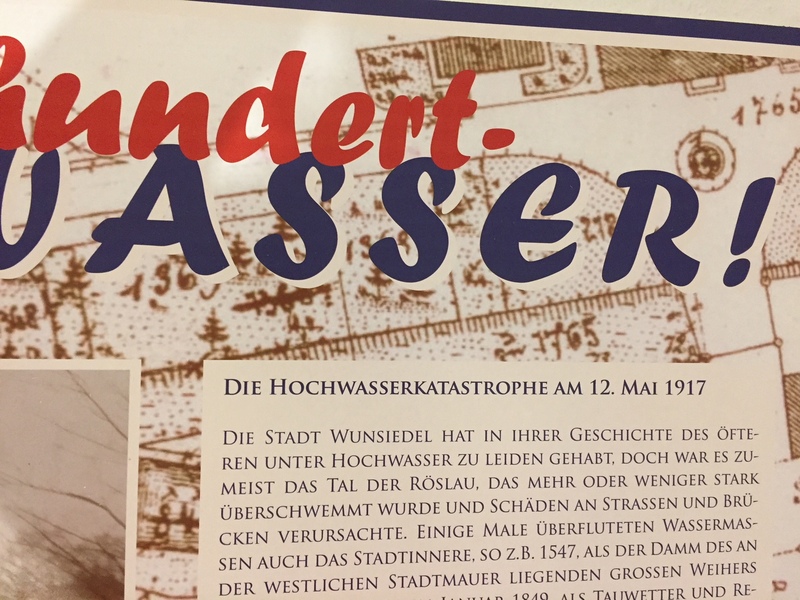 The kick-off event for the 2018 Wunsiedel Water Games takes place 101 years to the day after the Great Flood in Wunsiedel. Detailed information is availble in an exhibit from the Task Force on City History in the old train station building. 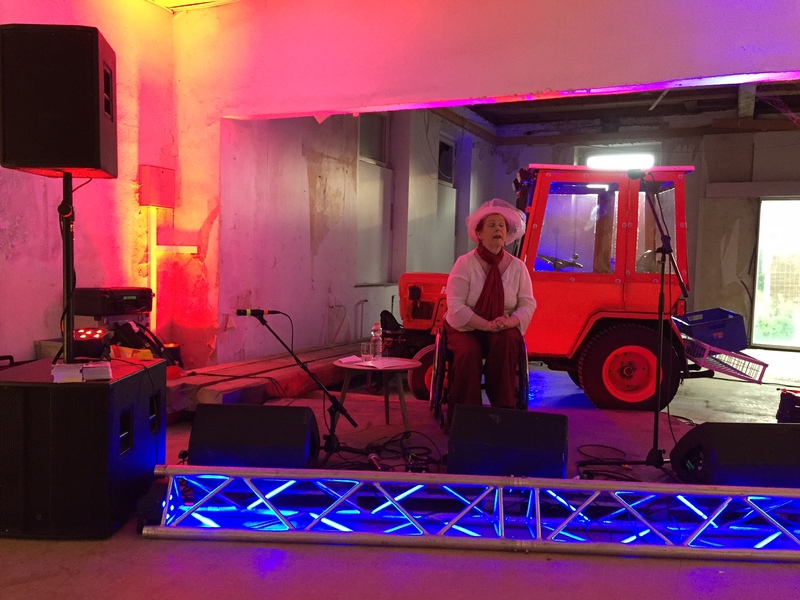 A rich cultural program integrates empty locations in town. Here, for example, Brigitte Welker, an extra from the Luisenburg Theater, presents from the train station building. 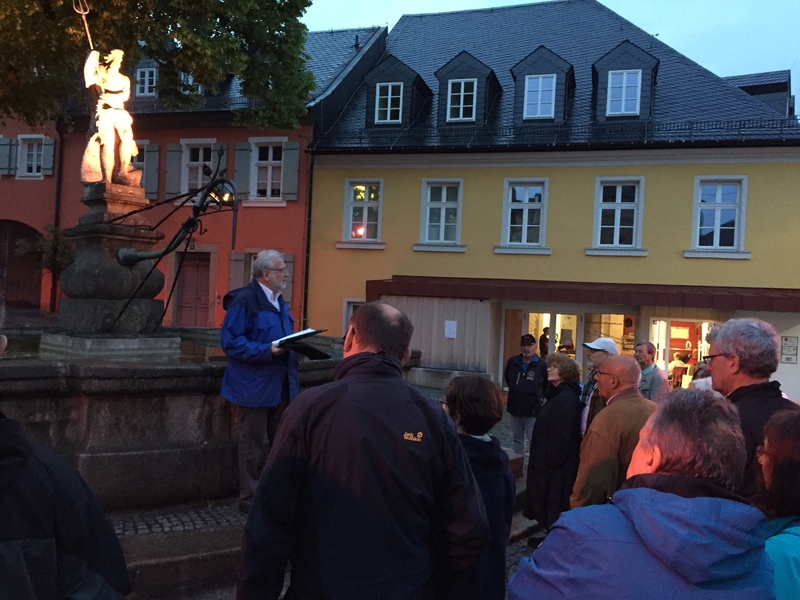 Dr. Peter Seißer takes visitors on a tour on the history of the Wunsiedel Fountains and Wells. Pictured here is the Neptune Fountain in the Gabelmanns Square. 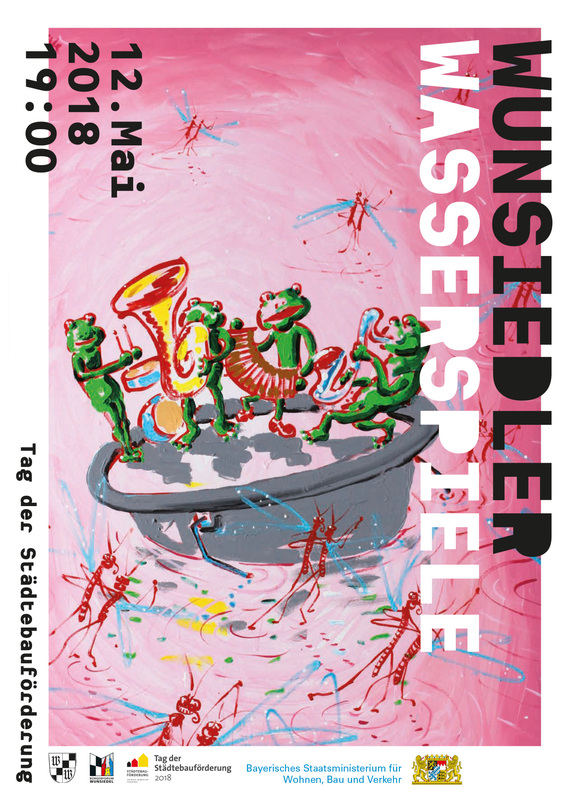 The program for the kick-off event for the 2018 Wunsiedel Water Games for Urban Development Day is out! Works from all artistic directions were accepted under this motto. The deadline for submissions was Wednesday, January 31, 2018. 200 artists from all over Germany, as well as from the Czech Republic, Austria, Switzerland, France, Hungary, Poland and South Korea submitted entries. We are overwhelmed by the variety, the creativity, the sheer amount of submitted entries. A big “Thank you!” to all applicants! Dana Widawski, born in 1973, lives and works in Berlin. The artist studied Textile Design at the Burg Giebichenstein College for Art and Design in Halle/Saale from 1995-2000 and then afterwards studied Art in Context from 2004 to 2006 at the University of Arts in Berlin. 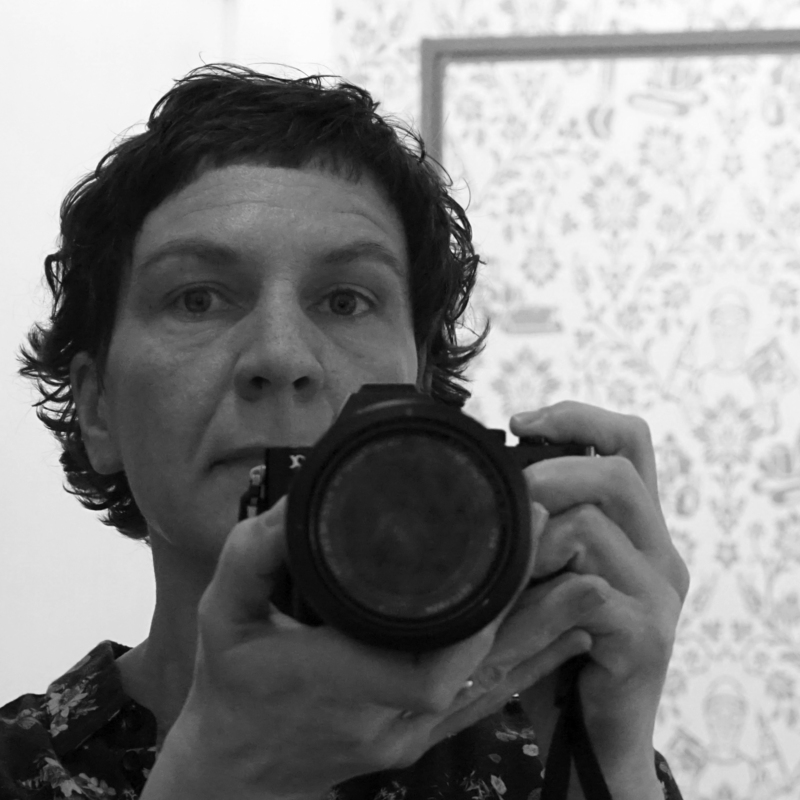 In 2011, Dana Widawski won the Art Award of the City of Schwabach, in 2001 a grant from the Wilhelm-Lorch-Stiftung, and in 2000 a grant from the HKD Burg Giebichenstein. Dana Widawski paints tiles. Tiles like those found in every bathroom, tiles like those that were painted with colbalt blue in Delft hundreds of years ago, to remind one, with the world’s beauty, of the impermanent nature of earthly existence. In her works, Dana Widawski calls to mind classic ornaments from different cultures and epochs. She extends and defamiliarizes these structures with contemporary illustrations and makes something look decorative at first glance. When one takes a closer look, however, one perceives a confusing and ironic layer under the surface, one that addresses societal clichés and paradoxes and calls them into question. Born in Freising in 1965, Korbinian Huber completed training in stone carving before studying Sculpting at the Academy of Visual Arts in Nürnberg from 1990 to 1996. In 1993 he won Freising County’s Art Advancement Award. He is involved in various art symposiums both in Germany and abroad. Korbinian Huber lives and works as an independent artist in Duggendorf. Korbinian Hubers wooden sculptures are created four-dimensionally. Through his work, the sculptor breaks from the idea of wooden stiffness and creates his own imagination-powered, poetic world. With a smile and irony from a distance, Huber is able to capture the fullness of life through his work. His unconventional, sometimes delicate, sometimes crude, sculptures give testimony to a passionate, very innovative and ever-professional connection to wood. For Wunsiedel, Huber created an installation which offers a “good, deep look” into the Wunsiedel Ice Pond. The surface of standing water or of the sea is a geometric plane, a fundamental concept of two-dimensionality. Questioning this otherwise unquestioning surface, the standard for all constructive intentions, is a game Korbinian Huber cannot resist playing. Michael Mordo, born in Stuttgart in 1961, is both a graphic and visual artist and musician. 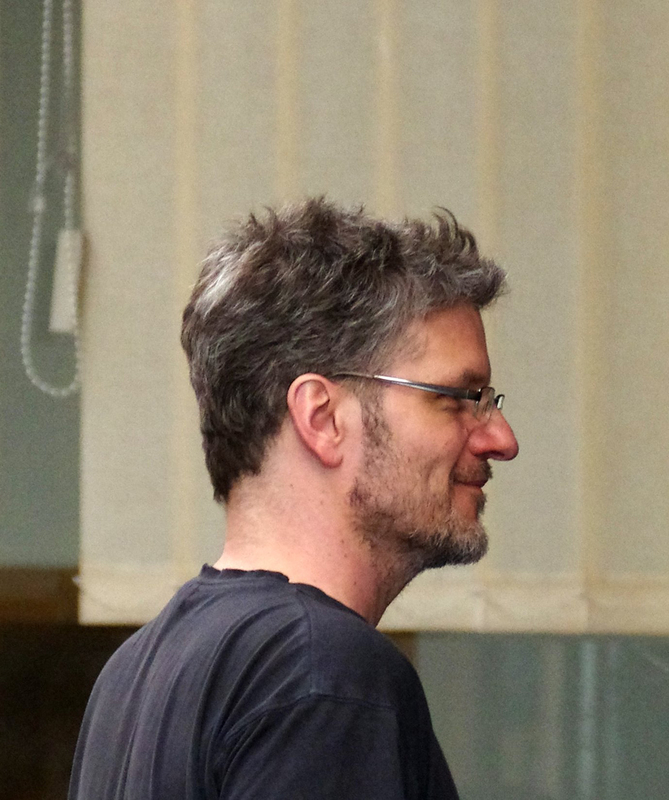 He began his artistic studies studying Puppet Building with the puppetry artist Albrecht Roser. From 1982 to 1988 he studied Sculpturing at the State Academy for Visual and Graphic Arts in Stuttgart, while continuing to teach himself jazz, which he started learning when he was still very young. He teaches Puppet Construction and Artistic Design as Lecturer on the subject of Puppet Theater at the College of Music and Performing Arts in Stuttgart. 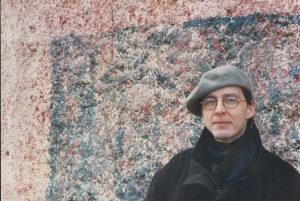 He has been exhibiting his works (paintings, scuptures, puppets) since 1985. Since 2014, Michael Mordo has been working with Ruth Küblers “droplet picture” technique. This method makes internal structures of water droplets visible. Over many years, the artist has modified this method to fit his needs, and, to this end, has even constructed special microscopes and other equipment. Every nuance contained within water comes to light through Mordo’s enormous talent for reacting sensitively in different ways. Water in a “droplet picture” is no longer recognizable as such, but rather as the dry residue created at the moment of droplet formation and during the dynamics of evaporation. The focus is on the capturing the asthetic value of the pictures, their visual and picturesque richness. For the Wunsiedel Water Games, the artist aims to make structures within Wunsiedel’s own native waters visible with this tecnnique. 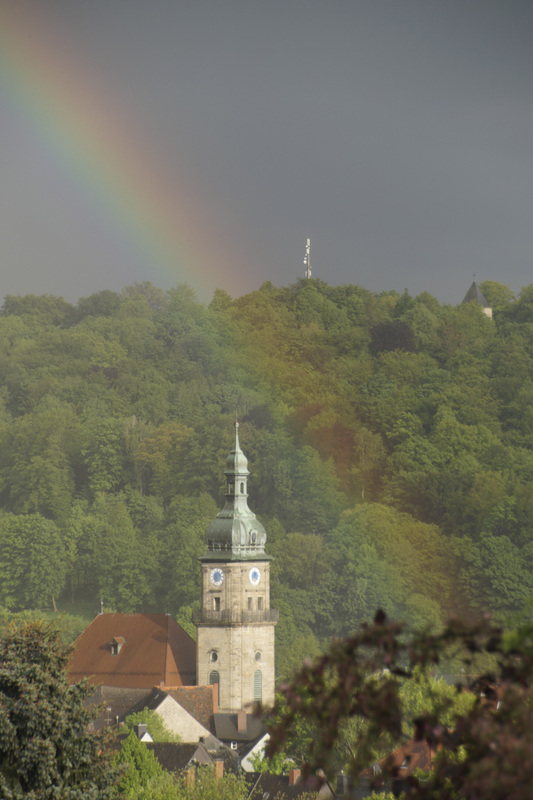 For more than two hours you could see a double rainbow over our bright little town. Thank you to all who made this evening possible! 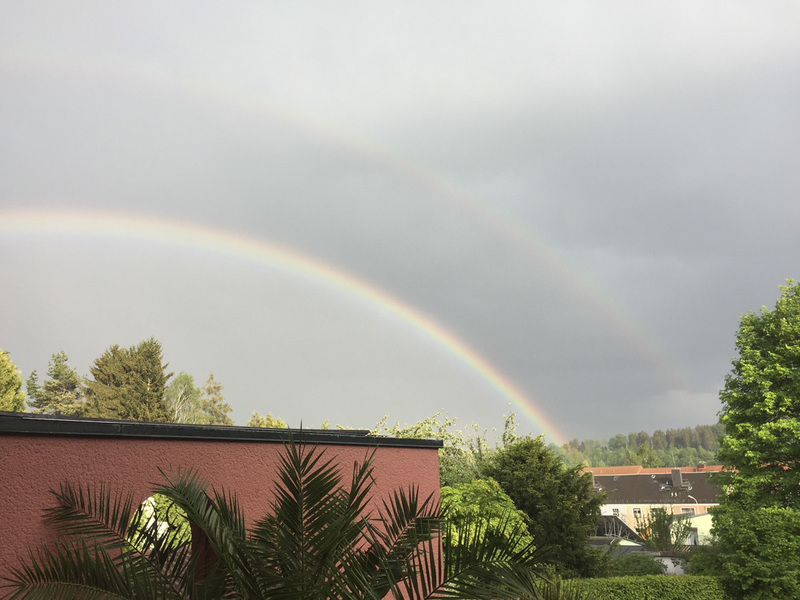 A special “Thank you!” to Alexander Stöhr, Nine Riedel, Christine Wunsiedler and Ulrike Schelter-Baudach for the rainbow pictures!